The BMW maintenance that you get from technicians should be commensurate with the vehicle that’s receiving it. That’s something we firmly believe at our Queens, NY, BMW dealership, which is why coming to us for BMW service is one of the best decisions you can make. We take pride in our ability to provide New York motorists with the reassuring car care they need to safely get back to their daily routines. If it’s time for regular maintenance, trust us to handle all of your automotive needs. Whether you have all sorts of car troubles to sort out or you just want a basic oil change, our BMW-certified service technicians are here to tackle the job. We want to keep you safe and happy as you travel. Also, if you have questions about a sound or sensation you’ve been experiencing as you drive your vehicle, talk to a member of our service department for advice. 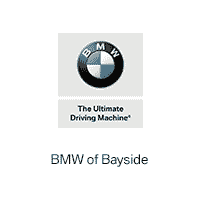 Whatever your automotive needs may be, know that you can come to BMW of Bayside for the repairs you seek and the customer service you deserve. Our service and parts center is located at 266 East Shore Road, Great Neck NY. Schedule service today!